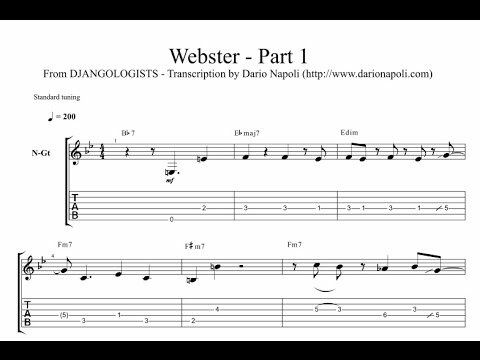 So, taking advantage of a little free time from the road to work on some new videos/transcriptions. This one is tricky because here Bireli uses alternate picking, which is something I don't use much anymore, but it's cool to see the opportunities it opens up in terms of phrasing. Enjoy, Part 2 coming soon! Ciao, if you're on my list you should have gotten it in the mail, otherwise all you have to do is go to transcription page and fill out the info on the left. Let me know if it works!